Yesterday’s Facebook post about your first job out of AmeriCorps really generated a lot of feedback! If you haven’t seen it you can give it a look here. It was really great to see all of the different jobs that people had found following their service. It was especially encouraging to see the amount of you who found placement with your sponsoring organization! We did notice a few people who said they were still having a hard time finding a job and we’d like to point you towards some resources we have for you. First is the Career Center on the AmeriCorps Alums web page. This is a constantly updated database of job postings all over the US with career opportunities in the non-profit and government sector. It’s a great resource to help search for a job in your area. Also we’re proud to be able to offer you a great Professional Development webinar as part of AmeriCorps Week. Working with our friends at NTL Institute we are bringing you a webinar that will cover how to translate your experience in AmeriCorps onto a resume. This webinar will help show you how you can translate the very real and tangible skills you acquired during your service onto your resume in a way that will catch the eye of a potential employer. The webinar is on Wed, May 18th from 12-1 and is FREE. We encourage you to sign up even if you can’t make it to the webinar. The event is being recorded and, if you are registered, you will be able to access the event on demand so you can watch on your own time. 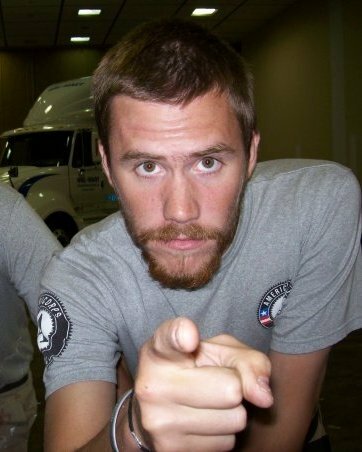 It’s great to see so many of you already leveraging you’re AmeriCorps experience into a full time job following your service. We’d like to encourage to also try leverage support for other AmeriCorps members. Make sure your boss understands what an AmeriCorps Alum can bring to a job and the very real skills that a person aquires through service. And if your organization or company is hiring, be sure to share it on twitter, facebook, and with your local Alums Chapter. Jer-Bear! Nice to see you supporting the Ameri-world beyond your terms of service, props friend! Yay… Perry Point Class 14! Im sorry but I started to apply for jobs in January even though my service ended in May. Its now midway through June and I am close to 80 jobs I have applied to. Every single interview has fallen through and I am now questing if I should have not done AmeriCorps.